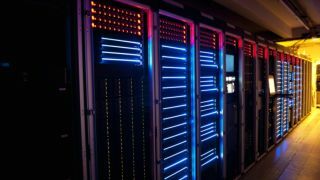 Should your business build or outsource a data centre? Why are so many CIOs set on building their own data centres? Here at Next Generation Data, we were recently contacted by the CIO of a company that needed 25 racks with the possibility to expand to 80 racks. He mentioned in passing that he was also considering building his own instead as it would be cheaper. On the face of it he could be right assuming a build cost of £2.5m (around US$4.15m, AU$4.5m), depreciate it over 10 years and a cost of £250,000 pa (around US$415,000, AU$450,000) or a cost per rack of £3,125 per year (around US$5,200, AU$5,600). That does sound cheap. But that is not the full story. There is the cost of capital, say an average of £100,000 pa (around US$165,000, AU$180,000), and equipment maintenance, perhaps another £50,000 pa (around US$85,000, AU$90,000). And of course rent and rates, say £90,000 pa (around US$150,000, AU$160,000), plus staffing where even assuming a bare minimum you will need £150,000 (around US$250,000, AU$270,000) for salaries including all uplifts. So now the total is £640,000 pa (around US$1.07m, AU$1.15m) or £8,000 (around US$13,000, AU$14,000) per rack. Not such a good price after all. But that is the least of his problems. Remember he only wanted 25 racks initially. Those 25 racks now work out at an average of over £25,600 pa (around US$42,000, AU$46,000) each. Still, within a couple of years the data centre will be full so his price per rack will get back down to the lower level. But what if he keeps growing? What if he needs 85 racks? Where do the extra 5 racks go? Does he build another 80 rack data hall for a further £2.5m (around US$4.15m, AU$4.5m)? The foregoing analysis also assumes that he has an available site which is suitable (secure, safe from flooding and flight paths, and so forth), planning permission, a source of power, connectivity options, a quality design and build contractor and plenty of cash to invest. This is an extreme case but even for larger builds a similar analysis applies. The own-build option looks cheaper only if the cost of real estate and staff are ignored and full occupancy is assumed. So why are so many companies set on building their own data centres? A charitable explanation is that companies feel more secure with an in-house data centre and it is more efficient for staff if the data centre is on-site. A more cynical explanation is that a data centre is a highly visible project which helps the CIO who is keen to justify his existence, build his empire, increase his revenues and discourage any foolish notions like IT outsourcing. In other words – the data centre as the ultimate vanity project. But as the saying goes: "Revenue is vanity, profit is sanity". Nick Razey is co-founder and CEO Next Generation Data, owner and operator of Europe's largest data centre, NGD Europe. A Physics graduate, MBA holder and Chartered Engineer, Nick has over 25 years' experience in the telecoms industry.